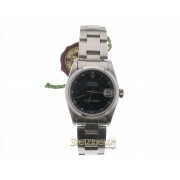 ROLEX DATE, REFERENZA 15200, ACCIAIO CON BRACCIALE OYSTER, LUNETTA LISCIA IN ACCIAIO, QUADRANTE R..
ROLEX DATEJUST REFERENZA 68240 ACCIAIO GHIERA LISCIA, QUADRANTE NERO, BRACC.. 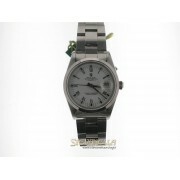 Description: ROLEX BOMBAY REF. 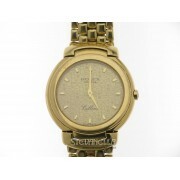 6290 BLACK DIAL ROSE GOLD 18kt. 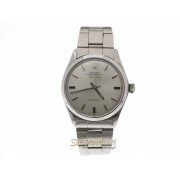 Rolex, Oyster Perpetual, Bombay, c..
ROLEX PRECISION ACCIAIO QUADRANTE SILVER INDICI REFERENZA 6694, MOVIMENTO A CARICA MANUALE. 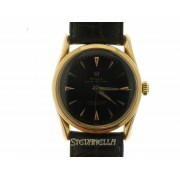 BRA..
ROLEX AIRKING REFERENZA 5500, ACCIAIO CON BRACCIALE OYSTER, LUNETTA LISCIA IN ACCIAIO, QUADRANTE ..
ROLEX AIRKING, REFERENZA 14000, ACCIAIO CON BRACCIALE OYSTER, LUNETTA LISCIA, QUADRANTE BRONZO 3/..
ROLEX CELLINI ORO GIALLO 18KT MISURA 33mm QUADRANTE CHAMPAGNE REFERENZA 6622/8, QUARZO CON DEPLOY..
Rolex Cellini ref. 4136 oro bianco 18kt, anno 1992, misura 27mm x 39mm, carica manuale calibro 16..
ROLEX DATE CASSA E BRACCIALE OYSTER ACCIAIO E ORO GIALLO 18KT 750/00 REFERENZA 1505, LUNETTA ZIGR..
ROLEX DATE, REFERENZA 15200, ACCIAIO CON BRACCIALE OYSTER, LUNETTA LISCIA IN ACCIAIO, QUADRANTE B..
ROLEX DATE, REFERENZA 15000, ACCIAIO CON BRACCIALE OYSTER, QUADRANTE SILVER INDICI, VETRO PLEXY. ..
ROLEX DATEJUST ACCIAIO ORO ROSA 18kt, REFERENZA 116201, CON BRACCIALE OYSTER E LUNETTA LISCIA IN ..
ROLEX DATEJUST ACCIAIO REFERENZA 1603 CON BRACCIALE JUBILE' U.S.A., VETRO PLEXY, LUNETTA LISCIA I..
ROLEX DATEJUST ACCIAIO REFERENZA 16234 CON BRACCIALE JUBILEE, LUNETTA ZIGRINATA IN ORO BIANCO, QU..
ROLEX DATEJUST ACCIAIO REFERENZA 16200 CON BRACCIALE OYSTER, LUNETTA IN ACCIAIO, QUADRANTE SILVER..